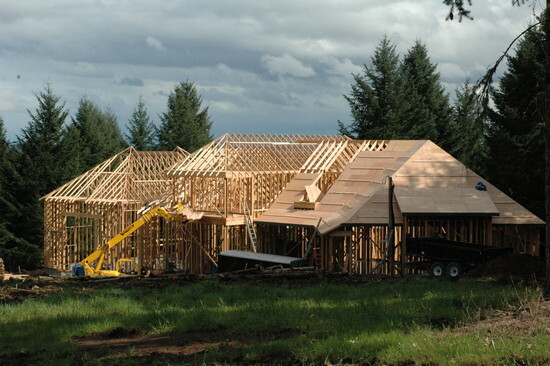 Ryan Matson, Inc. has been framing homes throughout Oregon for more than 25 years. While specializing in custom homes that require experience with hand-cut roofs, barrel ceilings, and curved staircases, he is also well known for bringing his expertise to more basic projects. Ryan runs a small, skilled crew of 2 to 3 people, which allows him to maintain an unusually high level of quality control. He has a sterling reputation among architects, contractors, subcontractors and suppliers for doing things right: square, level and plumb. Please contact Ryan Matson, Inc. for input early in your project, whether it is a complicated custom home or a straightforward addition or remodel.